It’s no longer a secret that I like Civil War stuff. Well, it was never really a secret to begin with. But it’s kind of one of those things I’m shy to share about myself – seems like kind of a nerdy, geeky thing to like. I’m a nerdy, geeky kind of girl though. History is neat. 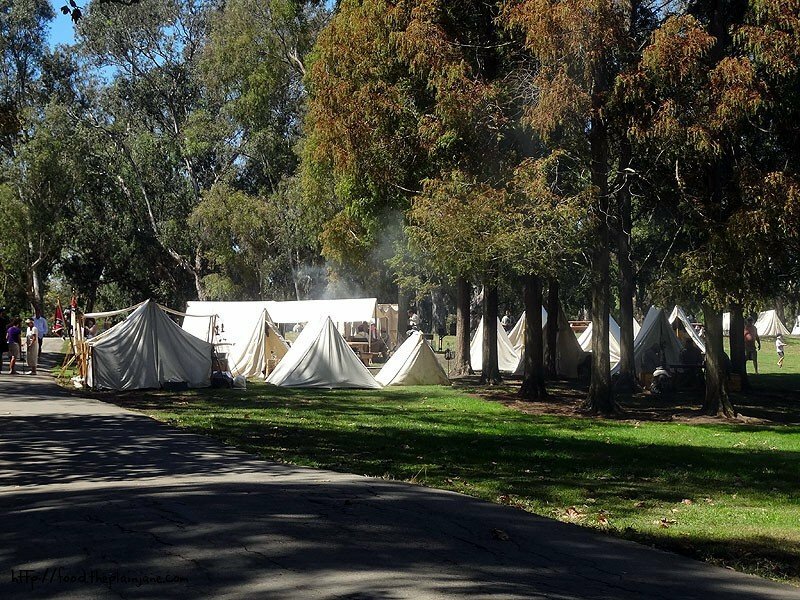 The Civil War Reenactment in Huntington Beach, CA is a very impressive event to attend. 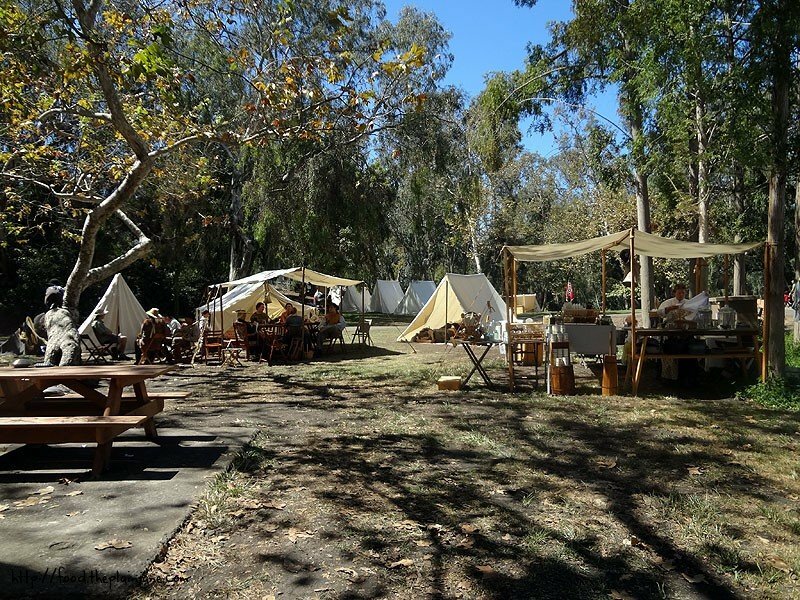 There’s two separate camps, a small town called Reedsberg and an impressive battle filled with troops and lots of canon fire. There’s also tons of people to talk to who are more than happy to share a little bit of history and knowledge with you. I just love walking around the camps, seeing the uniforms and getting a feel for the place. 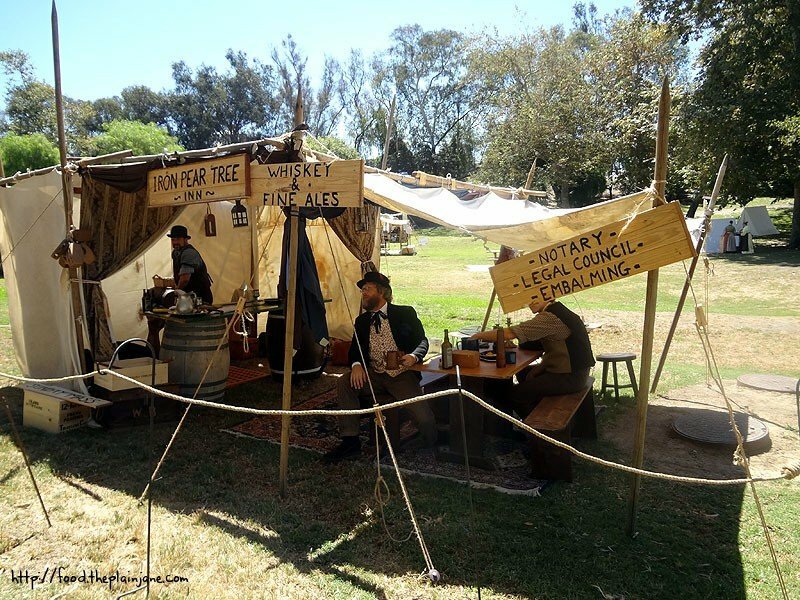 There were people set up and cooking and people just doing their “day to day” thing within the camps. 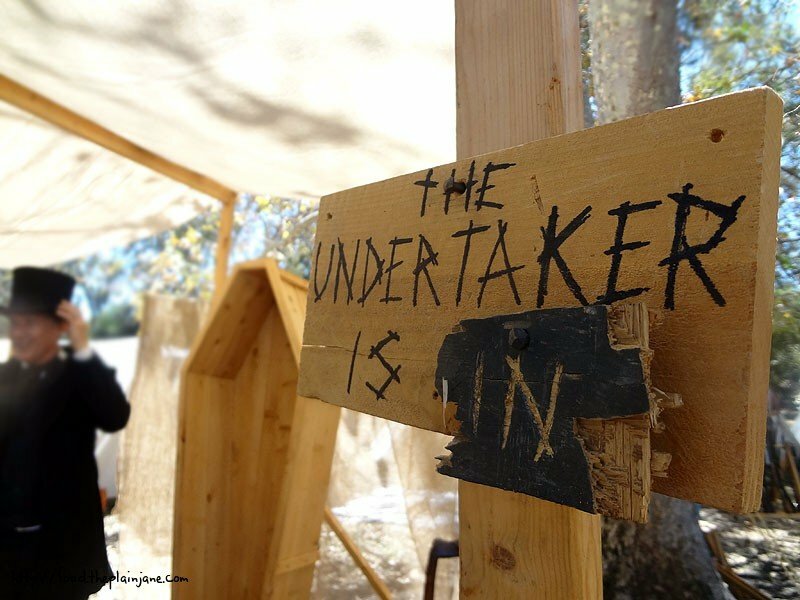 We also visited the undertaker. 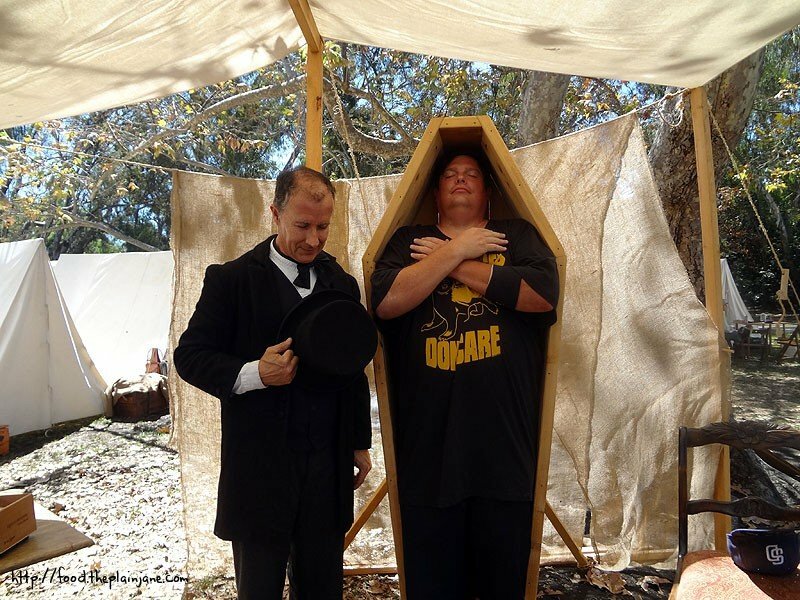 Jake stuffed himself in a coffin and I photographed it. I refused to get in myself. But I’ll happily take photos of others in the coffin. We also visited The Iron Pear Tree Inn. Jake’s youngest son liked this place so much that we visited it twice. The gentleman running the inn was so entertaining that the all of us just really like hearing him talk. I gotta hand it to these guys for staying in character and being so enthusiastic about it – it really helps enriches the experience. We were kind of on the far end so mostly we just saw the booming of the cannons and the advancing of the Union troops from far away. But it was still awesome. 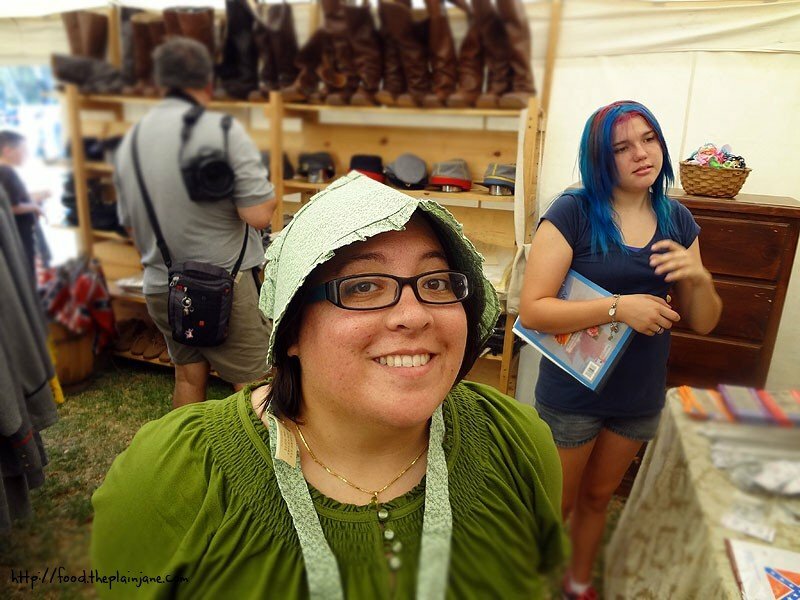 Wandering around in one of the “supply” tents, I found this bonnet. I kind of wish I had bought now. That was the highlights! 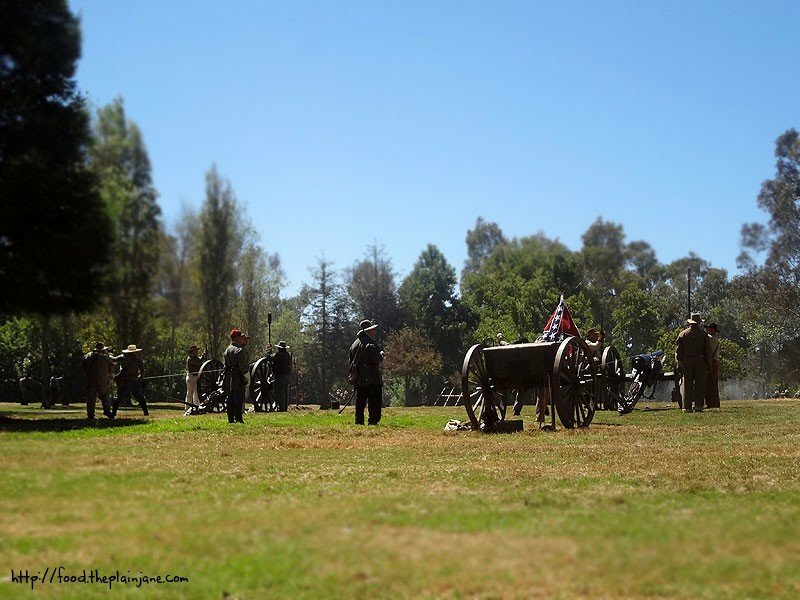 You can see the rest of the Civil War Reenactment Photos that I took over on my Flickr account, if you so desire. 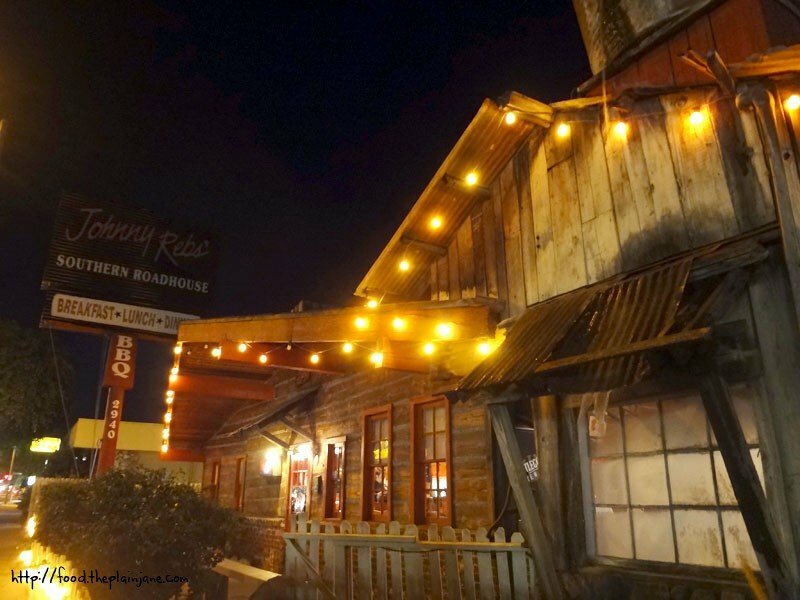 For dinner that evening, we went to Johnny’s Reb’s in Orange, CA. 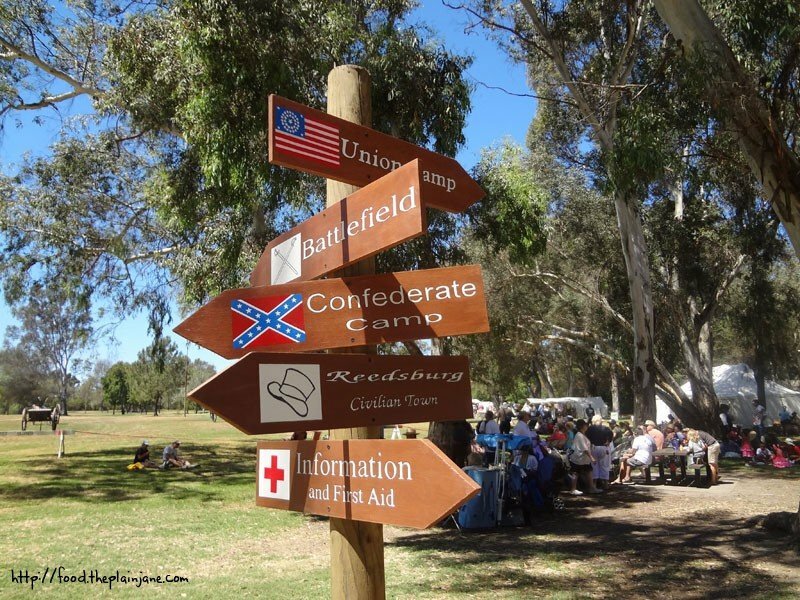 Much like when we went to Calico for our first reenactment, Johnny Reb’s kind of fits the theme for the day, no? The kids fell in love with this place after our first visit. Though I think Jake’s son really liked this place just because of the peanuts. 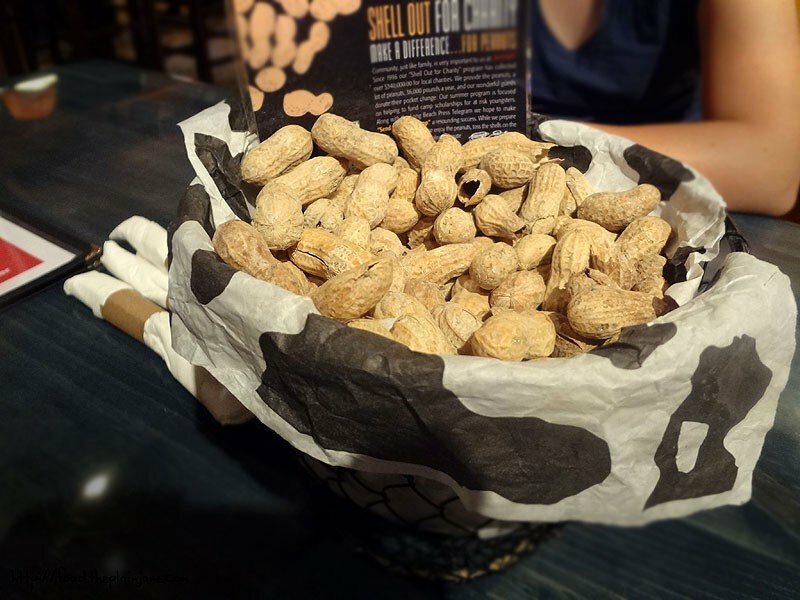 That and you could just toss the peanut shells on the floor and not have to pick up the shells or anything. That’s exciting stuff when you’re nine years old. 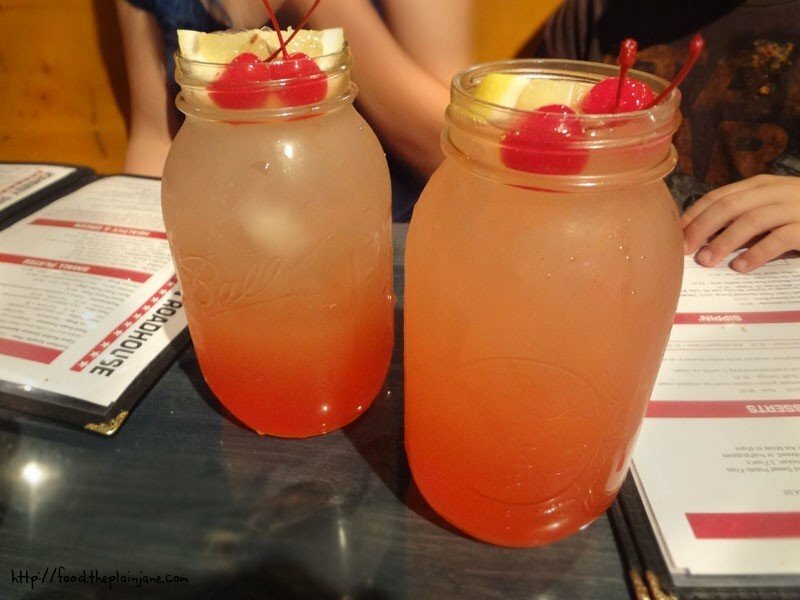 Drinks served in mason jars is also very exciting. Two cherries! I don’t like cherries, but extras are always nice. 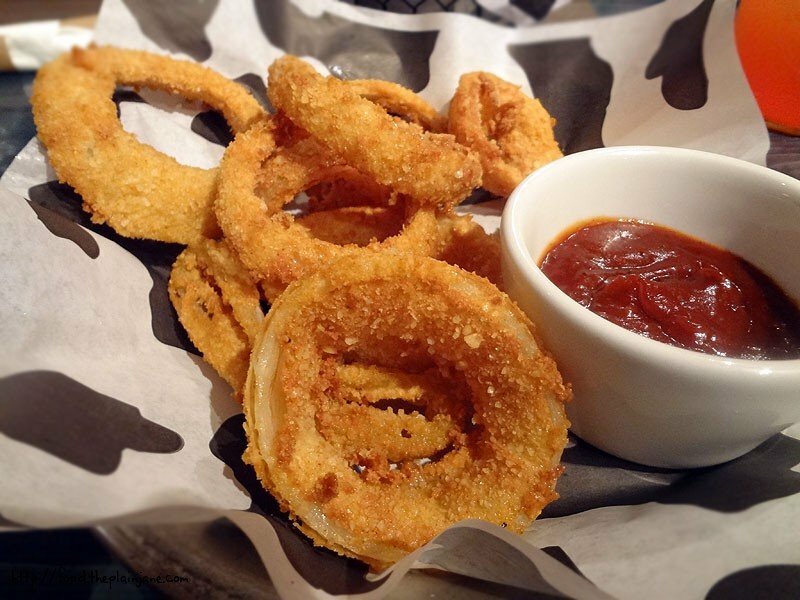 We scored some free onion rings because I checked in on Foursquare. They’re hand battered and have a cornmeal-like texture on the outside. They were done well but needed a little more seasoning. The BBQ sauce served with the onion rings was one of the many kinds they have – I’m not sure exactly which one, but I didn’t care for it. It was very tangy and vinegary – not my cup of tea. The kids shared a chicken fried chicken dinner plate. They were nice enough to split the plate at no extra charge! 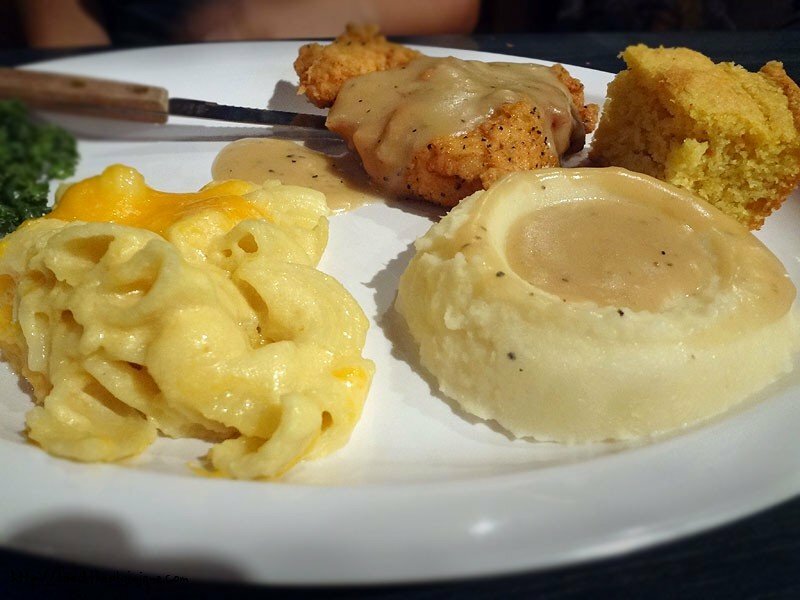 The chicken was a thick cut piece of chicken breast fried in a similar style to chicken fried steak. Very juicy and tender. The kids each choose one side, picking the mashed potatoes and macaroni and cheese to share. Jake and I also did the split plate thing – sharing the BBQ combo plate. You get to choose two meats with this one and we picked the pulled pork and the beef ribs. We picked the same sides as the kids, too. I guess we’re kind of boring like that. 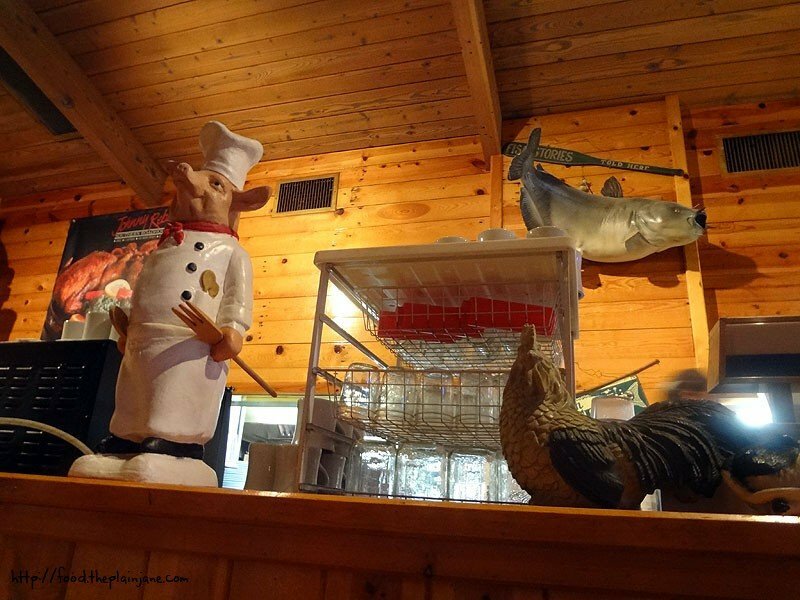 The mashed potatoes and gravy was good – pretty standard fare. Same goes for the macaroni and cheese – not as super creamy or cheesy as I like it, making it just average. Of the two meats we shared, I liked the pulled pork a bit more. The BBQ sauce used here was their Sweet Georgia sauce which was like a thousand times better than whatever they served with the onion rings. A sweeter sauce is definitely my thing! The pulled pork was tender and juicy and had plenty of sauce covering it. The beef rib was just okay. It was kind of chewy and not as tender as I’d like. 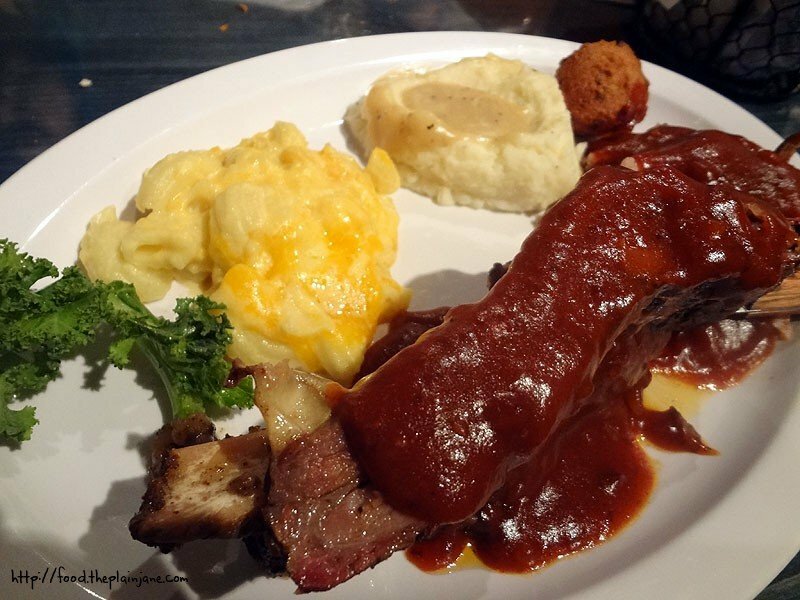 The flavor just wasn’t all there on the beef ribs – they were just “eh”. This location also wasn’t quite as “cool” and kitschy as the one in Victorville was. It had some neat knick knacks though to kind of drum up the “redneck” vibe they got going on. In retrospect, not as good as our first visit. If we were to try this again, I’d try another location to see if it made a difference in flavor and taste. 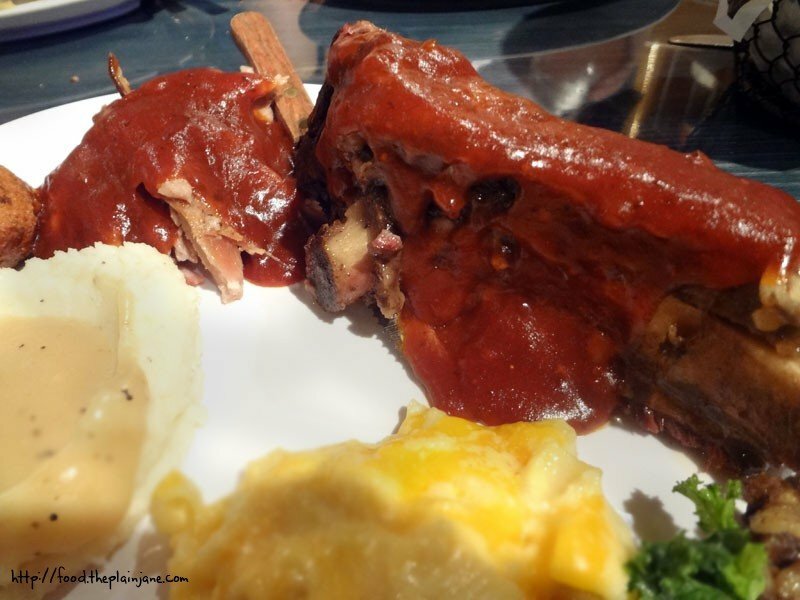 You can read my first review of Johnny Reb’s in Victorville here. There’s no shame in being a GEEK! Let your inner geek show! What a really neat event! I like how everyone was dressed up and acting in character. Woo, Geek Pride! 😀 It was a really fun event. It almost makes me want to dress up, too, but the thought of wearing wool and long dresses in the heat deters me, haha.